I was encouraged by some teachers to build and design a tank for a classroom. My local club, SLASH, has helped by donating a tank and supplies for the build. Every teacher is "highly encouraged" to have a classroom pet. Mrs Douglas used to have pet toads but they have not done well this summer. She is down to her last toad(s). She fears she will not have any toads left before the tank has a fish in it. I have told her that things happen slowly with saltwater tanks and she may not get her first fish until after the semester has started. Teachers have a small classroom budget to use each semester on pets and extra enrichment for the students. Anything over $200 will have to be granted by the PTA. So far the tank has a ReefBright light, return pump, aqua c romora skimmer, 20 sump, off brand DJ strip, small fan, eshopps overflow. This weekend I worked on a teacher approved stand. too tall... she wanted their faces to be in the middle of the tank not at the bottom. So we went to work again and came down 5 inches and got a way sturdier stand design anyway. Last edited by Lance A. Lot; 07/29/2018 at 08:26 PM. This is going to be a peninsula style build. If you have examples I should see let me know. I am just going to wing it as far as building a canopy and side cabinet goes. This is going to divide the reading and story time area from the writing and letters area of the classroom. i would get support under the horizontal cross members, all the weight is on the top of the 2x4 legs. So where would I put the lateral bracing? halfway up on the 4 legs? I can cut some 45s into some 2x4s and put those in the corners. Would that be enough?I really do not want to add a center brace. The sump would not fit. I would say with wood you need it. If it were 2" welded steel tube you would be fine. Again, its just my .02 cents. 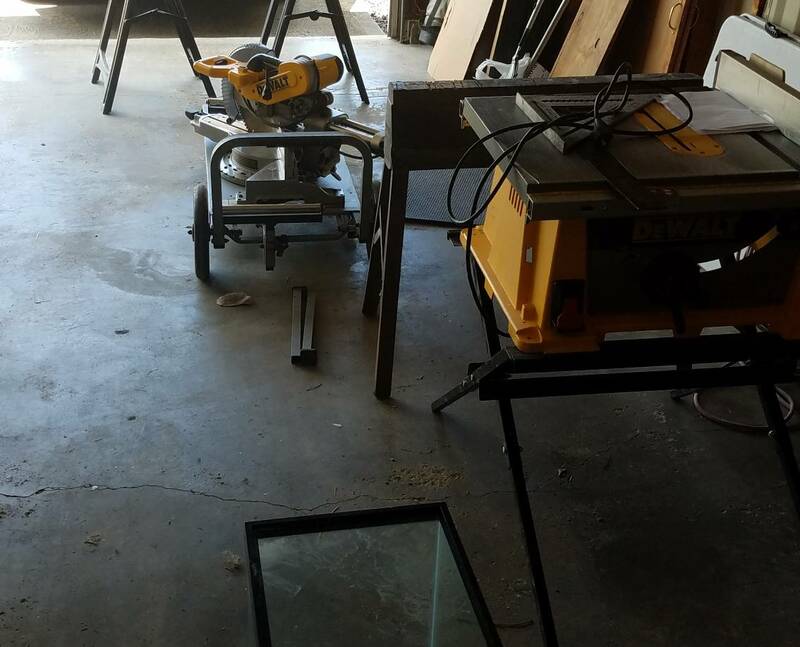 I see your point about having the sides open for your sump access, but if you were planning to finish the bottom with doors, normally the center piece for where the doors meet, also doubles as that center bracing. Well we are not planning for doors. Our plan was to have a full removable panel on both sides that locks in place. As far as center braces go I literally mean the sump will not fit because the boards would only have 12 inches of space between them in the middle and the sump is 12.45" wide with the black trim around it. I could put them on the outermost part of the frame and toe nail them in I guess. I will see what I can do tonight. You do not need corner braces. Nor a center brace. IMHE. Are you adding a piece of plywood to the entire top? That would be a good idea and you will be surprised how much it firms it all up. 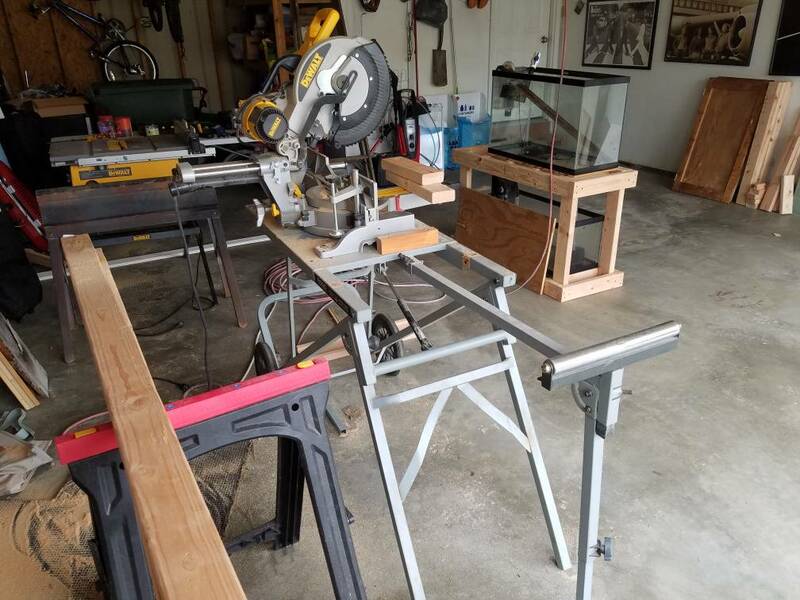 Just read the diy stand thread. Your stand is already stronger than store bought stands. There is a 3/4 inch plywood sheet covering 4/5 of the top of the stand. I have the saw and extra wood so I will add some lateral bracing. It won't be in my way and the wood is already a sunk cost anyway. This is not a welded steel stand and wood and screws over time loose some of how 'tight' they are as wood expands, contracts. 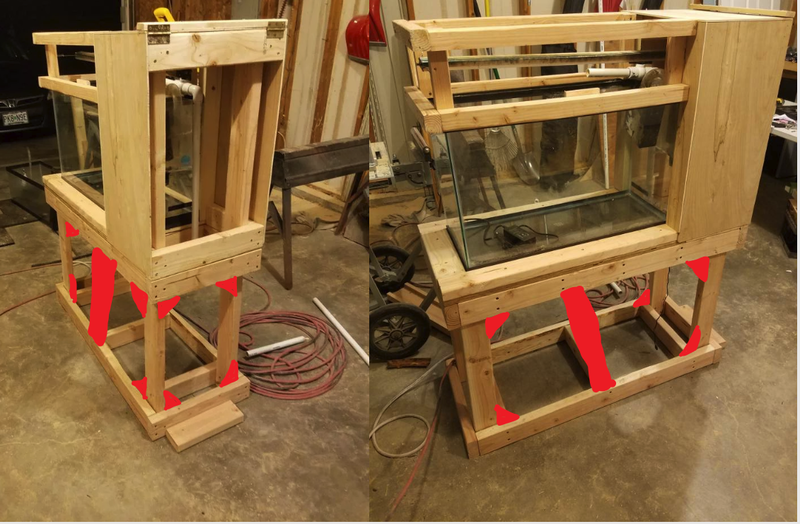 This tank is also in a classroom (unassumingly) with kids that will sometimes lean against the tank which will cause some lateral forces that again you do not want, and over time, affect the integrity of a wood stand. You don't want your stand to be the weak part in your tank design, especially when there are kids around and the tank could fall. Even steel stands are 1,000% over engineered, but its for a reason, you want to make sure that there is almost no chance over time the stand buckles on you. OP: Must better with the additional bracing. Are you planning to paint/coat the wood with anything? Not required but would help seal in the moisture and seal out any salt especially under the tank where the sump is. Last edited by shaginwagon13; 08/04/2018 at 08:51 AM. The teacher is picking a stain and polyurethane out right now. That will be her contribution to this build. I still don/t like that design integrity, Still no vertical support under top frame.Screws can shear but in softwood pine 2x4 they will sag/loosen their grip. Laterally test it by bracing/securing the base on the floor and I bet you can shift the top side to side, The long way. A sheet of plywood on one side would give a lot of stability against racking. With the lateral support I added it became more sturdy. I'm not changing it any more. It's done now. In the classroom now. Staining sealing and plumbing this week.